Careful With That Axe, Eugene: Being Careful with my Axe! A sunny Saturday afternoon in April and time to do some gardening. Late last year I cut down a tree in our front garden as it was dangerously pushing against the front garden wall. Today's job was to remove the stump and roots. This is not a very difficult task, but my sore bones and muscles are testament to the difficulty I had getting the stump out of the ground. 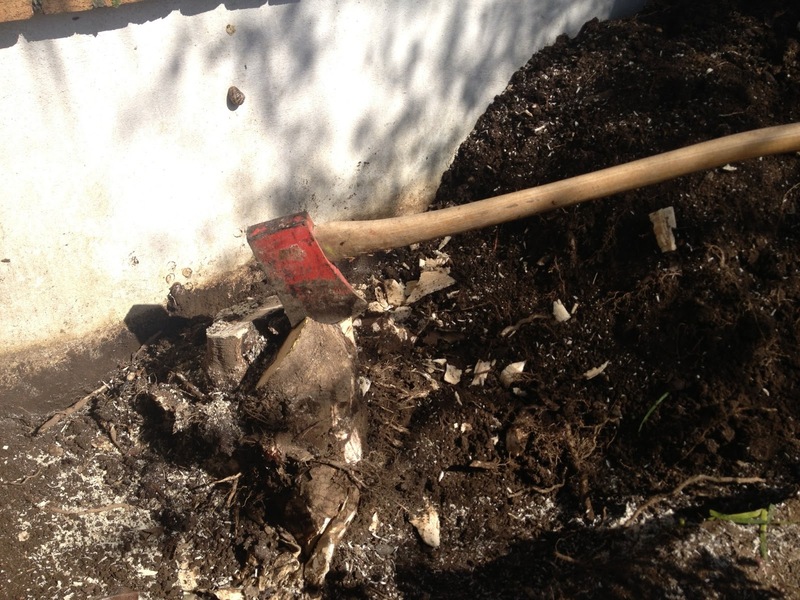 My tools were a spade, a chainsaw, an axe, and lots of elbow grease. Even though the weather has been unseasonably cold this year, today's sunshine brought many neighbours out and I spent nearly as much time chatting as working. It's almost like we all come out of hibernation after a long winter. Now for a trip to a garden centre to check out a replacement for the tree - I fancy something colourful like a Lobster Claw!